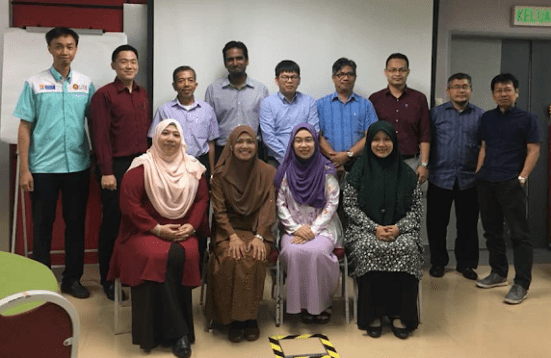 JOHOR BAHRU, 30 MAY 2018 – The Academic Leadership Center (UTMLead) conducted a briefing on the Mentor ProQ Program to the appointed mentors from the engineering faculties. Twelve mentors came to the briefing given by Assoc. Prof Ir Dr. Sharifah Hafizah Syed Ariffin on the stage to describe the program. Assoc. Prof Ir Dr. Hayati Abdullah presented the IEM Outcome based Compentency Accesessment (formally known as Enhanced PI) towards Professional Engineer and Corporate Member of IEM. All five competencies were explained and elaborated. There were two-way communications during the briefing which was to highlight the importance of this Mentor ProQ Program for UTM especially for Undergraduate Engineering Program Accreditation. More details on Mentor ProQ Program can be found at http://utmlead.utm.my/.